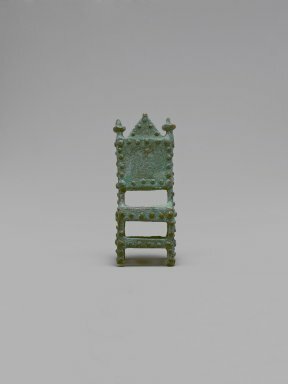 Depicts throne (asipim). Many raised dots representing nailheads. CONDITION: There is a mottled green patina on all the surfaces, except on dots.